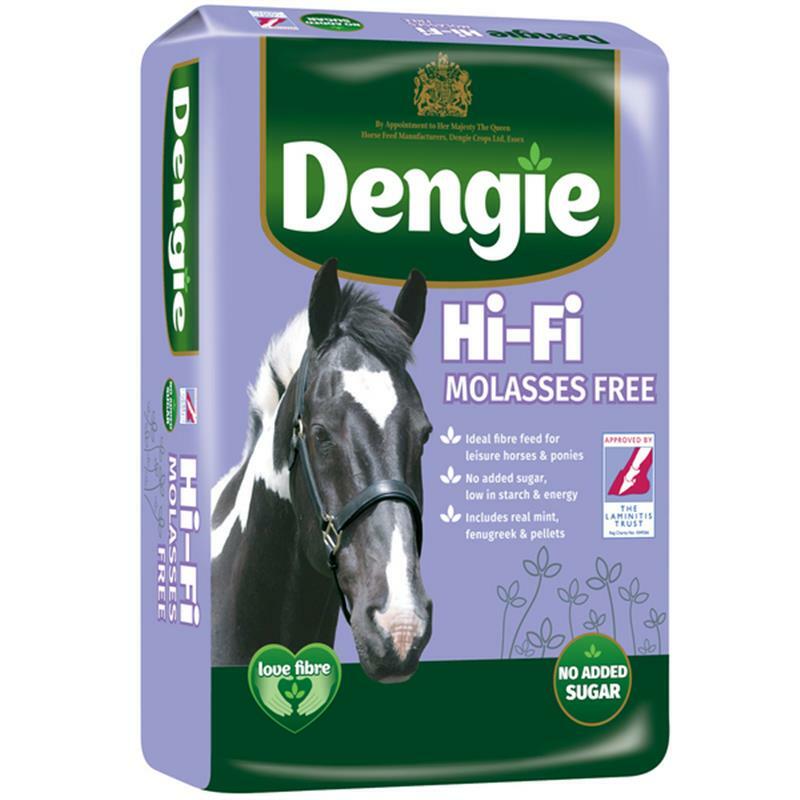 Dengie Hi-Fi Molasses Free - 20kg. Hi-Fi Molasses Free combines chopped and pelleted alfalfa and straw with a light soya oil coating and added herbs. Naturally low in sugar and starch. Contains no added sugar or molasses and is preservative free. Suitable for horses and ponies at rest or in light work and horses and ponies that require a low sugar and starch ration that maintain weight with ease.